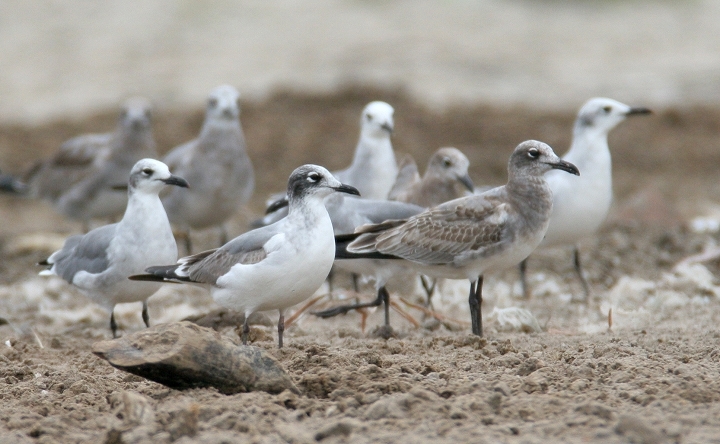 Above: A first-winter Franklin's Gull in Dorchester Co., Maryland (9/24/2006). 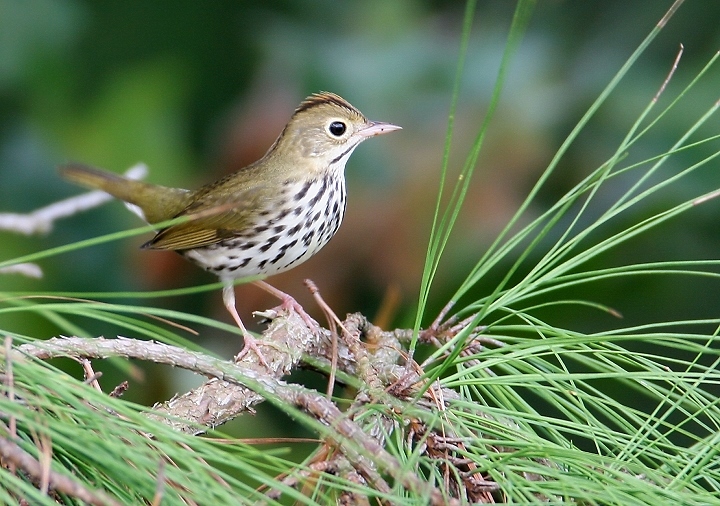 Above: An Ovenbird in Dorchester Co., Maryland (9/23/2006). 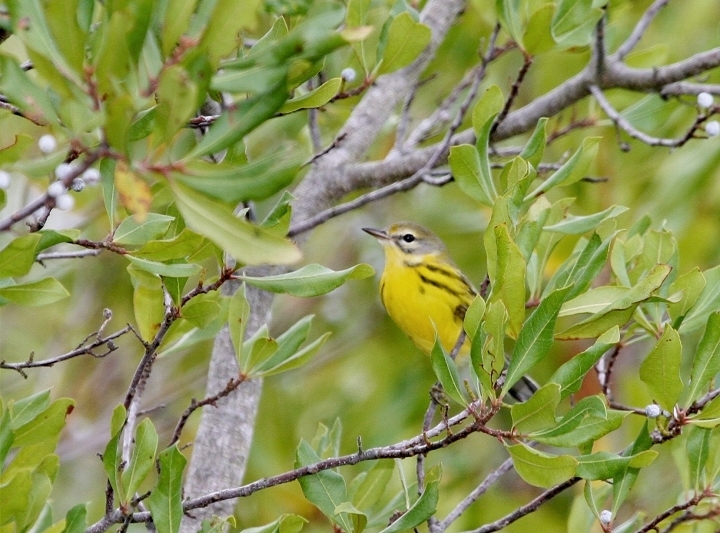 Above: A migrant Prairie Warbler on Assateague Island, Worcester Co., Maryland (9/23/2006). 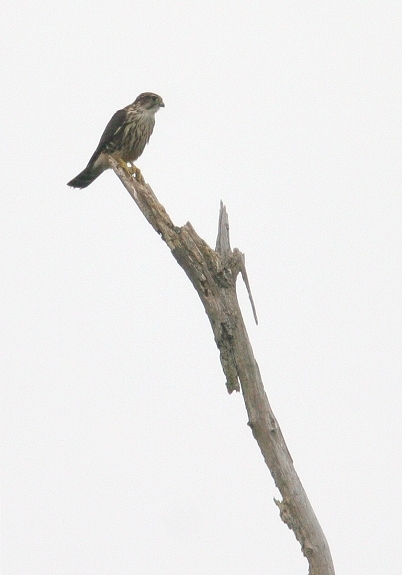 Above: A distant Merlin in Dorchester Co., Maryland (9/23/2006). 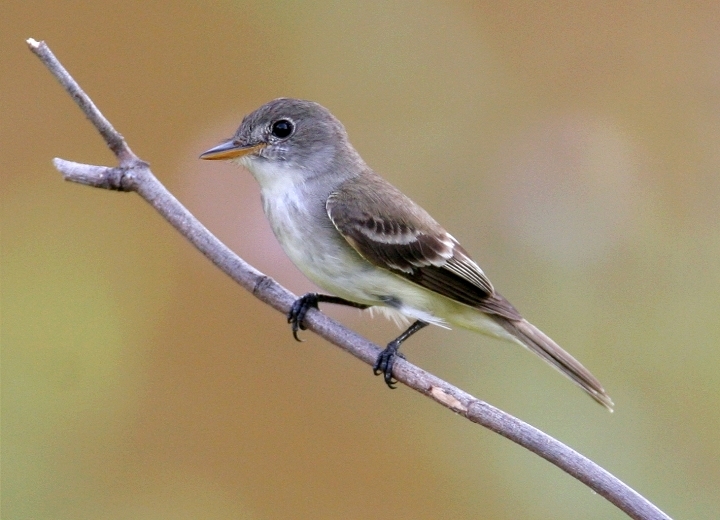 Above: This late post shows a "Traill's Flycatcher" in Howard Co., Maryland (7/20/2006). "Traill's Flycatcher" is the term used to describe an Empidonax flycatcher that is either a Willow or Alder Flycatcher. 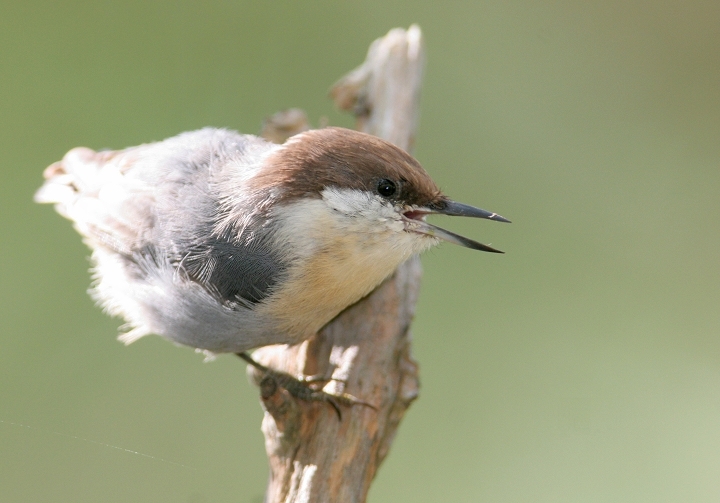 These two species are very difficult to distinguish except by voice, and so in fall migration can be very tough to identify. 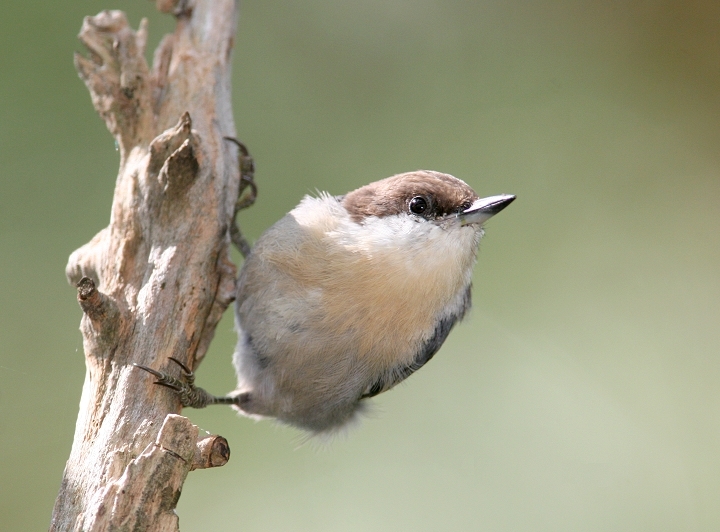 Until the 1970s, the two species were considered one species: Traill's Flycatcher. 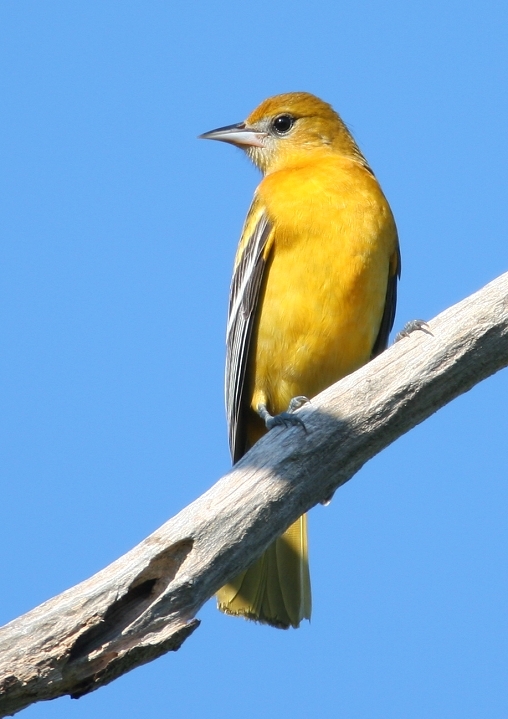 Above: A first-year male Baltimore Oriole at Point Lookout in St. Mary's Co., Maryland (9/17/2006). 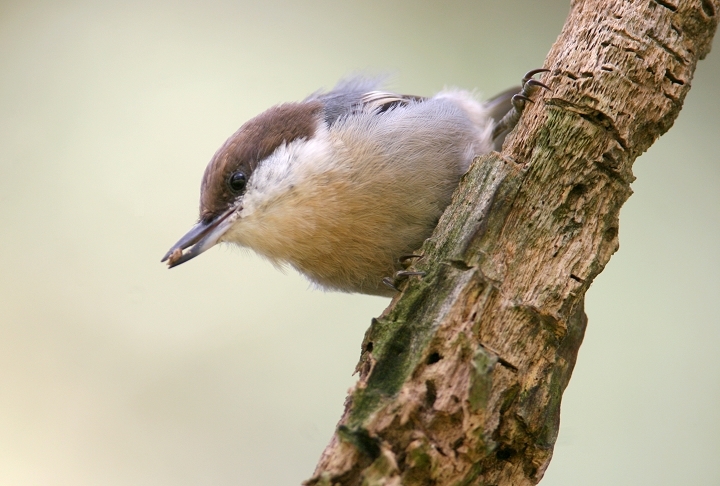 Above and below: A Brown-headed Nuthatch at Point Lookout in St. Mary's Co., Maryland (9/17/2006). 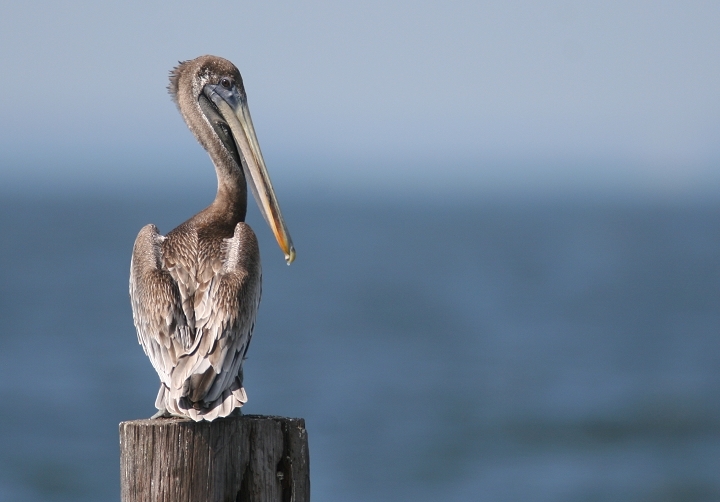 Below: A first-year Brown Pelican at Point Lookout in St. Mary's Co., Maryland (9/17/2006). 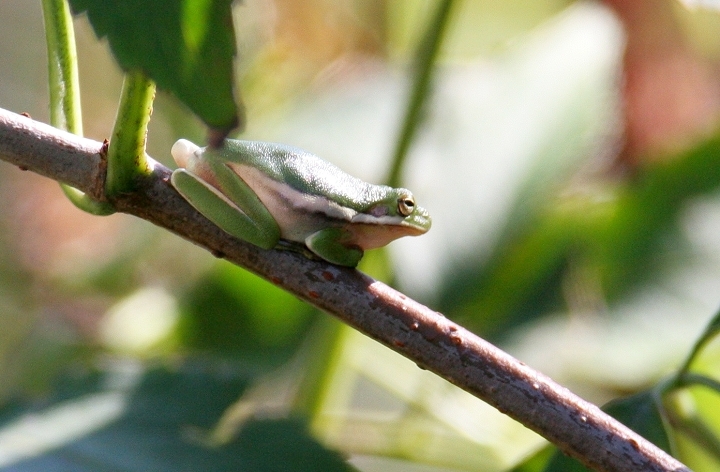 Below: We found Green Treefrogs surprisingly easy to find in the scrub along the trails today (9/17/2006). 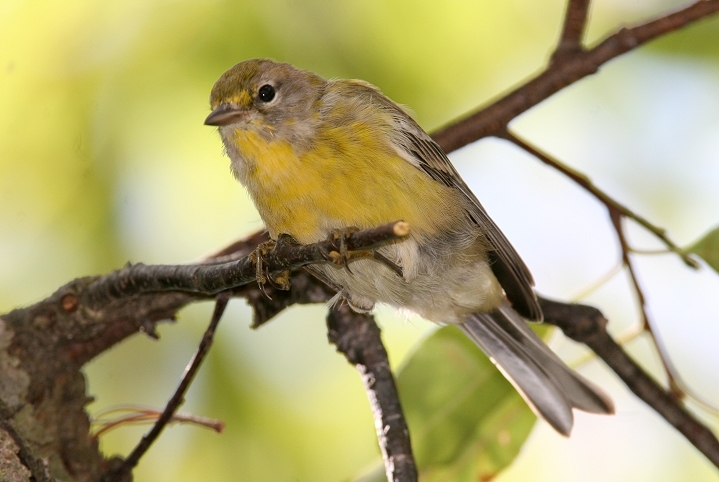 Below: A Pine Warbler at Point Lookout in St. Mary's Co., Maryland (9/17/2006). 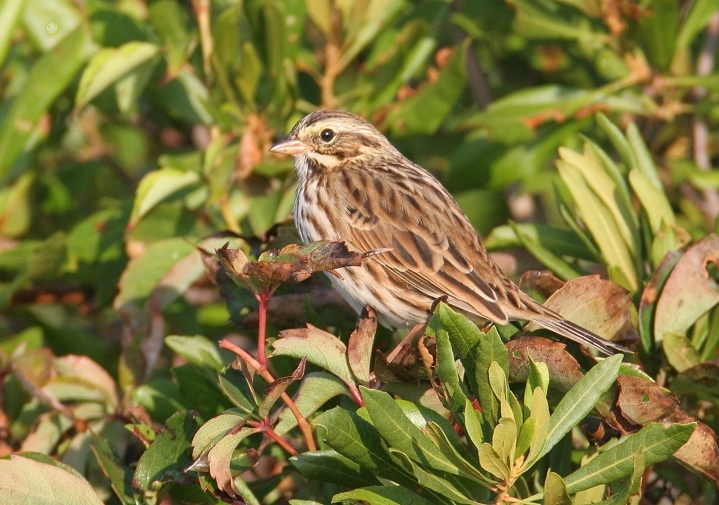 Below: A migrant Savannah Sparrow at Point Lookout in St. Mary's Co., Maryland (9/17/2006).